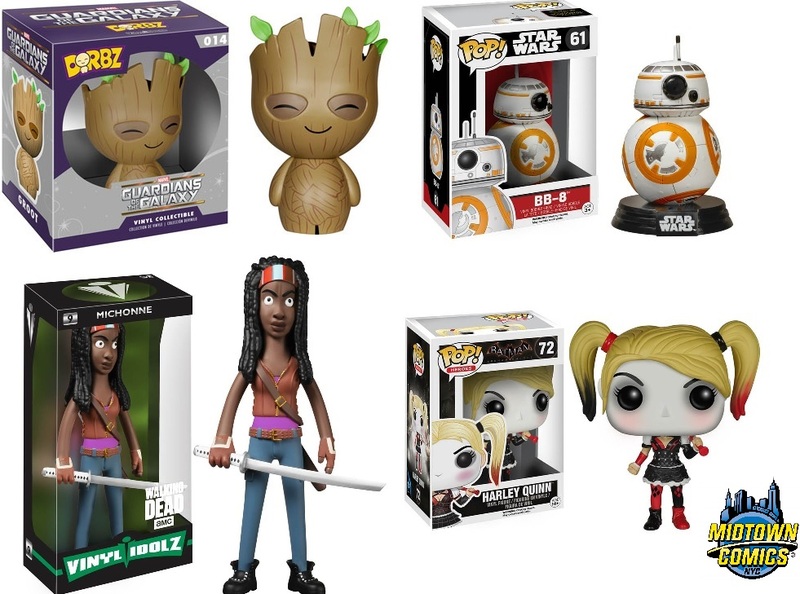 HUGE In-Store Sale: All Funko Collectibles 20% OFF! Pssst. Hey, you. Yeah, you. We heard you’re looking for some Funko figures? Well, it turns out we have an enormous amount of the adorable collectibles in our stores, and we’re looking to sell them… for 20% OFF! The sale will start 12/26 and end 12/31. From Star Wars: The Force Awakens to The Walking Dead, we have a ton of cute figures from various franchises that are just waiting to find a new home. Will you add the smile-inducing BB-8 to your collection? Or perhaps one of the ridiculously adorable Dorbz figures? No matter what you’re looking for, it’s going to be 20% off in-store as long as it’s a Funko product! You’re probably already thinking about what you’d like to buy, but just in case you’re still debating about what you’d like to pick up, we have a few suggestions for you! What can we say? We’re nice like that. Last night, we finally saw J.J. Abrams’ Star Wars: The Force Awakens. We had a blast watching it, and obviously, we want to talk all about it. So, why not have some fun reflecting on just a few of our many favorite moments? Don’t worry, we’re avoiding the really, really, reaaaaaally big spoilers. Also, if all of this Star Wars talk has you looking for some comics, collectibles, and more, CLICK HERE to browse some of our suggestions. Yes, this article contains some SPOILERS! We’re purposely avoiding the BIG spoilers, but if you want to avoid anything and everything, now is the time to leave. Seriously, go away! Okay, we’re going to assume you already left if you want to dodge spoilers. If not, this is your final warning. Go away! Star Wars: Our Top 5 Collectibles, Comics, and More! The opening of Star Wars: The Force Awakens is so close that we can almost smell the Tauntauns. Just like many of you, we can’t wait to watch J.J. Abrams’ movie (we’ll have a spoiler-free article about the film this Friday! ), and we want to help ease your wait for The Force Awakens by celebrating everything Star Wars! From comics to statues, we have a collection of Star Wars product so big that we’re betting not even Yoda could move it with the Force. There’s an enormous selection of Star Wars items to choose from, so to help you out, we’re going to highlight our five favorite items from a few of the categories (e.g. graphic novels, Pops, action figures, etc.). We won’t tell you the odds, but we will tell you all about these must-have Star Wars items. 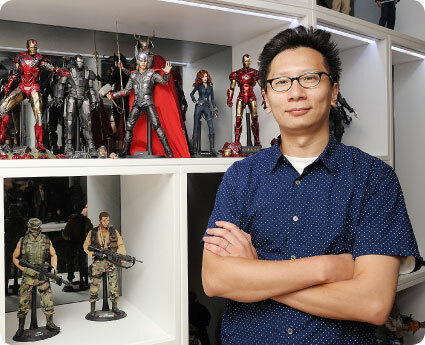 I remember the first time that I saw a HOT TOYS figure and I thought that surely this was just one made for charity or some important cause. There was no way that this work of art could be available for regular collectors like me to actually purchase, right? But it was true. I had seen the future of toys back in 2004 at San Diego Comic Con and this was going to change the playing field for what was quickly becoming known as the “high end collectible figure.” As I stood there admiring this piece, it was as if I had just been dropped off by Doc Brown & Marty McFly in a time traveling DeLorean. I was witnessing the future of toys and the future looked incredibly bright. It’s the most wonderful time of the year… to be a comic book fan! Finding that perfect gift for someone you care about can be a difficult and tricky process, so we want to make the shopping experience is as easy for you as possible! If the person you’re shopping for loves comic books, well, this list is for you! We guarantee that they’ll adore at least one of the items below! And don’t forget about our Black Friday sales – it’s a great way to pick up some awesome stuff while saving some money! 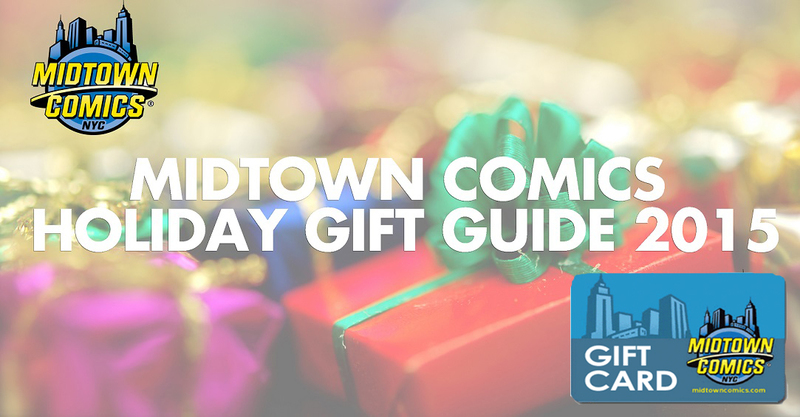 Also, if you can’t decide on a gift, don’t forget about our Midtown Comics Gift Cards!